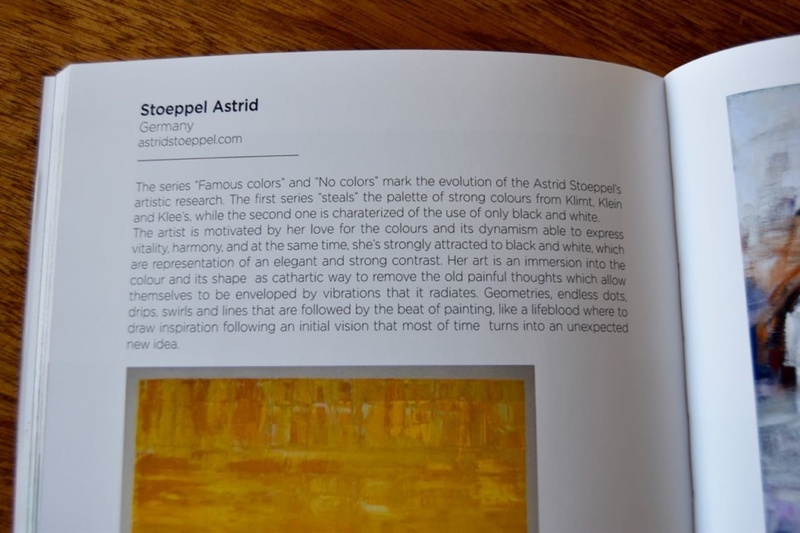 astrid stöppel is a german abstract artist. one of her styles is so pure in form and color and always catches my attention. they are simple canvases of colored lines and patterns, very controlled, yet free-flowing. it is very difficult for any abstract artist to produce consistency of lines like this, a steady hand and eye are required. her artworks are highly collectible and vibrant with color that accommodates many living spaces. 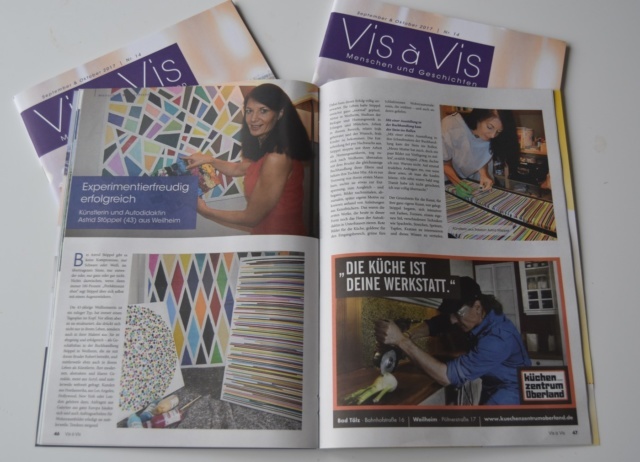 astrid has experimented with several mediums, such as oil pigment sticks, watercolor and ink. acrylics tend to be her preferred medium. working in primarily two different styles, the “colorful acrylics” we’ve seen above. The other series “fluid acrylics” comes from a raw emotional place when she paints. she uses a special technique to create the effect on paper. our noteworthy curatorial review committee was most impressed by your superb oeuvre such as “colorful outbreak!” which resonates with a profound visual narrative as you reveal the invisible within the visible. the spiritual artistic journey that you portray in your stellar oeuvre was quite impressive and was a triumph of personal expression. “eternal colors” generated a profound sense of symbolism while reflecting a universal message. we salute you on your aesthetically absorbing oeuvre which reverberates with a dynamic textural sense and powerful visceral shapes. we were enthralled by the emotive quality of “sprinkled dot!” which reflects your fine talent and vibrant visual intensity of colors. your compelling “colorful splash!” conveys your unique artistic vision of capturing the impalpable as you seize the essence of the emotional and physical experience. our committee salutes you on your oeuvre with its important visual narrative and its emotional link to the human and artistic experience. we are so pleased with your marvelous art and the positive energy of your stellar compositions.